The Jennie-O Turkey Store Montevideo plant, a subsidiary of Hormel Foods Corporation (NYSE:HRL), announced today that it will donate $10,000 to fight hunger in the Montevideo community. This donation is part of the commitment at Hormel Foods to nourish the hungry in the United States one community at a time. During 2011, the company donated funds to more than a dozen U.S. manufacturing facilities to share with nonprofits in their respective communities to fight hunger. In 2012, the program is expanding to more than 20 communities in which Hormel Foods and its subsidiaries operate processing facilities. “We are thrilled about the positive impact we were able to make in 2011 in the communities where we live and work, and we are equally as excited about the growth of the program in 2012,” said Julie H. Craven, vice president of corporate communications at Hormel Foods. In addition to its hunger relief efforts in these communities, Hormel Foods is committed to helping those in need throughout the world. Through its On Our Way to Ending Hunger program, Hormel Foods collaborates with retailers, nonprofits and the government on hunger relief efforts, nourishes the hungry in the United States and abroad, and motivates individuals and corporate partners to take action to fight hunger. 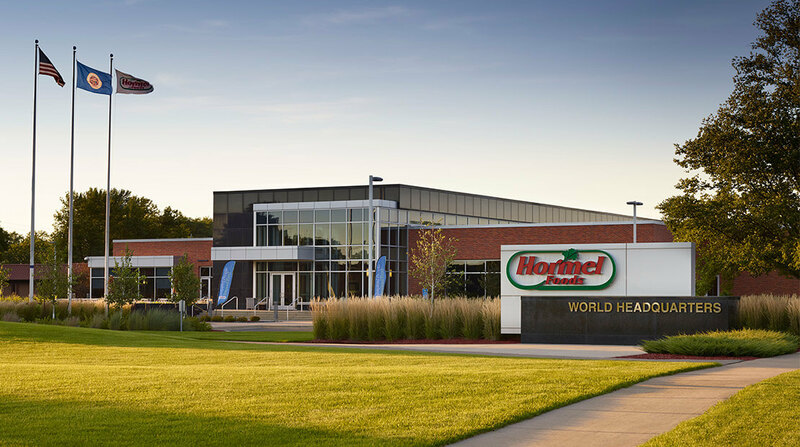 Hormel Foods announces new environmental goals, reducing packaging by 21.8 million pounds and water consumption by 15 percent Hormel Foods announced its second set of environmental goals.